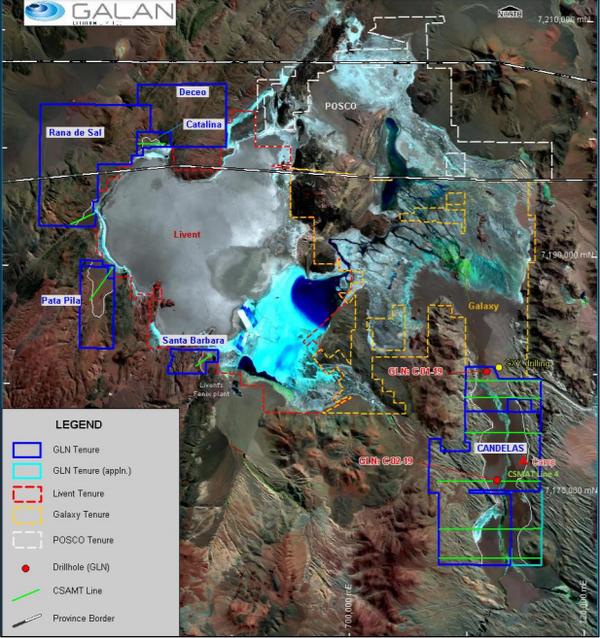 Galan Lithium Ltd (ASX:GLN) has completed drill hole C-02-19 to a depth of 662 metres at the Candelas Lithium Brine Project located immediately to the south-east of the Hombre Muerto salar in Argentina. Early data is encouraging with a 202 metre section from 460 metres to the end of hole returning robust conductivity levels. 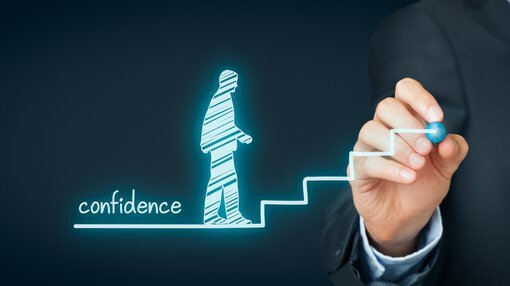 The results were well received by the market with the company’s shares increasing more than 20% from 25.5 cents to a high of 31 cents within 30 minutes of the news being released. While the levels are of a lower order than those recorded in C-01-19, they are still expected to return lithium values albeit at lower levels. However, management noted that sample waters were elevated in temperature, indicative of proximal hydrothermal activity which would dilute the aquifer at this location. As indicated on the following map, the area being drilled is to the south-east of Galan’s tenure. Drill hole C-02-19 largely replicates the geology of the maiden drill hole including good levels of potential porosity within a thick 230 metre sequence of conglomerates, comparing favourably with the 105 metres thickness delineated in C-01-19. Similar to C-01-19, C-02-19 has a layer of ignimbrite to 167 metres below shallow alluvial cover. Management said that the extended presence of these lithologies provided confidence that they should continue south of C-02-19 in the Candelas channel. The tectonic basin in this area was found to be much deeper (632 metres vs 310 metres), encountering a very thick sequence of sands and clays at depth to 400 metres before entering interbedded breccia and conglomerates to 632 metres, similar in character to that observed in maiden drill hole C-01-19. Cutting through much of the highly technical geological characteristics, Galan’s managing director, Juan Pablo Vargas de la Vega responded favourably to the drilling results in saying, “Much has been achieved to date in a short time frame. “We are dealing with a unique geological setting for lithium brines and our knowledge of the region increases with the more work we do. “The lithium potential remains strong for Candelas as it does for our prospective western tenements at Hombre Muerto”. A third drill hole targeting an area north of the current hole and south of the maiden hole will commence shortly.